Quick cloud adoption is one of primary factors of success in modern digital business. Microsoft Office 365 and SharePoint Online play notable role in this increasing bias towards cloud business platforms. To facilitate and streamline cloud transformation scenarios we created Enterprise Bridge, revolutionary product, which fully automates complex content deployment scenarios in modern hybrid clouds. Enterprise Bridge to SharePoint promotes transparency in Microsoft cloud environments through seamless incremental integration of local resources, on premise servers and contemporary cloud platforms. Configurable transformation workflows allow for selective mapping of data and metadata across all supported platforms, retains original associations of users, groups and access rights across the migrated content. This unique range of elaborate technology, flexibility, convenience and simplicity explains growing popularity of this solution. 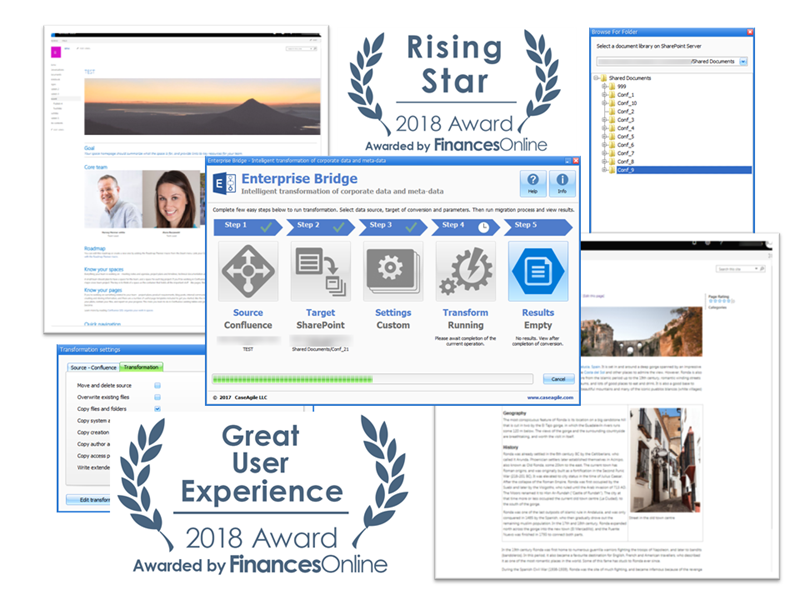 High user ratings were proven in “Rising Star” and “Great User Experience” award given to Enterprise Bridge by the expert team of FinanceOnline in their recent Enterprise Bridge to SharePoint review. Join companies who already use Enterprise Bridge as the reliable basis for quick cloud deployment strategy and stay abreast of competition in winning efficiency and excellence of your digital transformation. 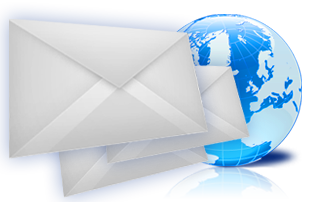 FinancesOnline is a popular B2B software review website designed to help businesses find a suitable platform for their unique needs. Garnering over 5,000 reviews under its belt, FinancesOnline reviewed Enterprise Bridge to SharePoint on the list of best file sharing & document management software and distinguished us with its Great User Experience award. This award was given to Enterprise Bridge in recognition of our platform’s ease of use, intuitive interface, and easy software implementation. Meanwhile, FinancesOnline distinguished us as a Rising Star for 2018 in recognition of our positive traction with clients and increasing popularity on the market.